The average vacancy rate of retail space in Kyiv by the end of 2017 decreased by 6 percentage points, to 5% from 11%, in the best shopping centers remained in the range of 0-2%, according to a study by CBRE Ukraine international consulting company (Kyiv). According to its data, it’s worth expecting an increase in the vacancy of retail space in 2018. “The general trend towards a reduction in vacancy is largely dependent on the timely completion of the announced projects, including the two large shopping centers River Mall (58,700 sq m of gross leased area) and Retroville (80,700 sq m). Despite the likelihood of delays in commissioning, the average vacancy in the market will increase if all of the announced volume is put in operation on time,” CBRE Ukraine Managing Partner Radomyr Tsurkan said. At the same time, according to the company, rent rates in 2017 rose by 10-25%. “Rent rates in the best trade centers remained relatively stable in the range of $60-86 per sq m a month, in other shopping centers fluctuated within $32-45 per sq m a month by the end of 2017,” the study says. 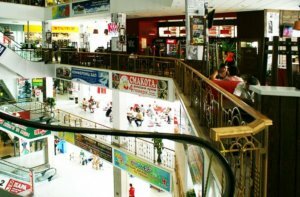 According to the company’s forecasts, rent rates for premises in the most popular shopping centers of the capital in 2018 will continue to grow, while in others it will not change significantly.